THE PHAROS PROJECT 2 (I'm not sure if that indicates that there was some sort of predecessor... or whether this was just a nod to the original on-WHOscreen incarnation) was a great fanzine from the mid-ninties which I really enjoyed at the time. At the masthead says, this was published by - deep breath - Cambridge Universities' Doctor Who and Television Society (Cudwats for short) but available to anyone who mailed away for it. Including me. I'm struggling to recall how I knew about this - and how I knew when to order the next issue as I didn't subscribe. I'm assuming they advertised in the classified section of TV ZONE or DREAMWATCH. TPP2 focused on the two big mid-decade shows, THE X-FILES and BABYLON FIVE, which - at the time - suited me just fine as they always seemed to do a better job than the equally obsessed professional magazines (and this was around the time that every magazine spotted the opportunity to boost circulations by bunging Mulder and Scully on their cover). As you'll see from the covers below, they also ran well-written (and fun) pieces on other shows (The Wanderer! The Equalizer! The Night Stalker! Even - puttup Friends!). What's not to love? Each issue was technically superior to the last: boosting page count, grappling with new-fangled desktop publishing, adding colour covers. All told, it was a slick package which was (and is) a pleasure to read. 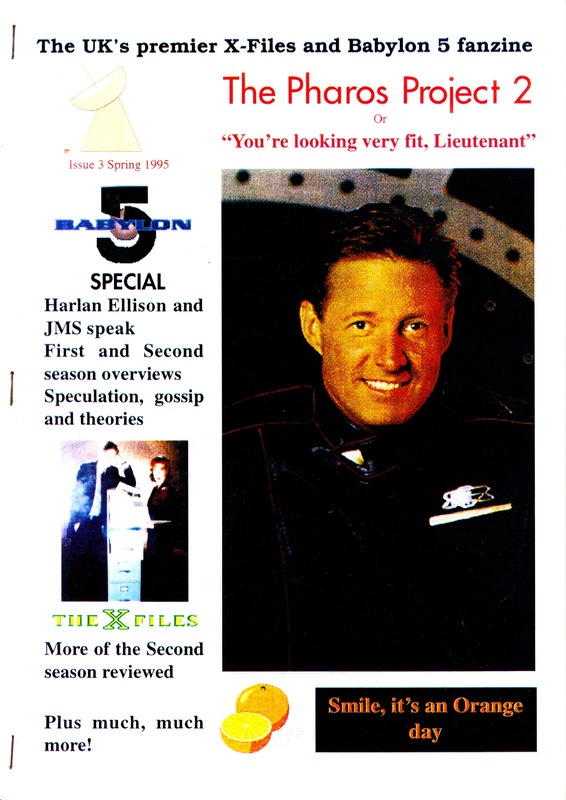 Issue 5 (Spring 1996) was the last issue I ever saw advertised. I have no idea whether any more appeared but I'm pretty sure they didn't (or, if they did, they didn't advertise them) as I would have ordered them in a shot. Well thanks for reading us back in the day! I was just getting all nostalgic for the magazine over on my blog when a Google search for it took me here. What a nice write-up, too! 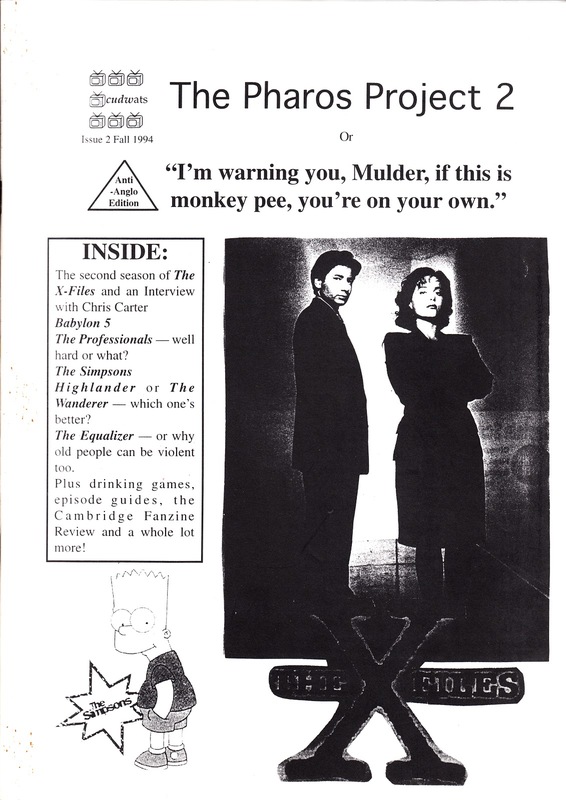 1) We were called CUTS originally, but then a Doctor Who society launched in 1993 for the 30th anniversary, and we merged with them to become CUDWATS. 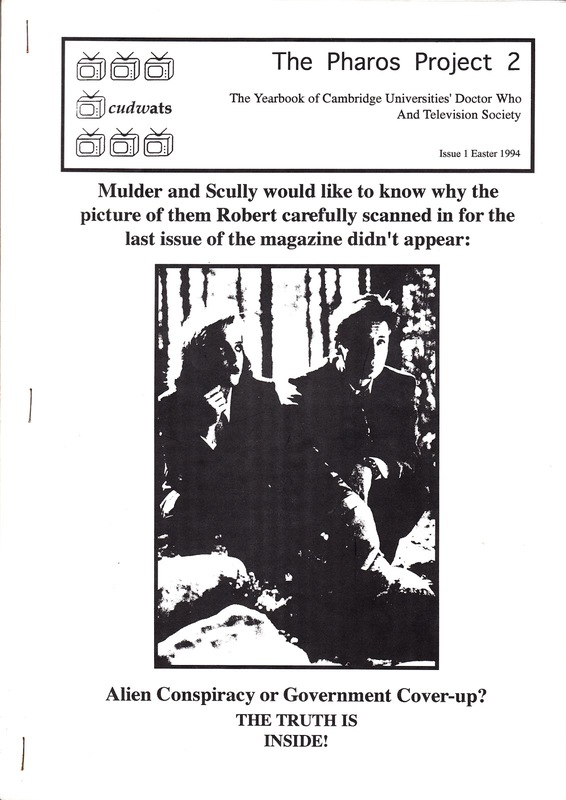 2) All the society newsletters before TPP2 had been named after things in Doctor Who associated with Cambridge (eg Allison's Scarf, because Alison in Remembrance of the Daleks was wearing a Girton college scarf; TOMTIT; The 1959 Dig). I think we thought The Pharos Project was in Cambridge. Originally, it was going to be called just The Pharos Project, but then the floppy disk with the first version on it got damaged, so we started again and called it The Pharos Project 2. If you look carefully at the logo, you'll notice that underneath the Pharos Project dish, there's the red splattered body of Tom Baker after he'd fallen from it. 3) Yes, we advertised TPP2 in TV Zone. We never advertised in Dreamwatch, although a few years later, I did end up editing Dreamwatch very, very briefly. Which was odd. 4) Issue 5 was the last issue that ever saw the light of day. 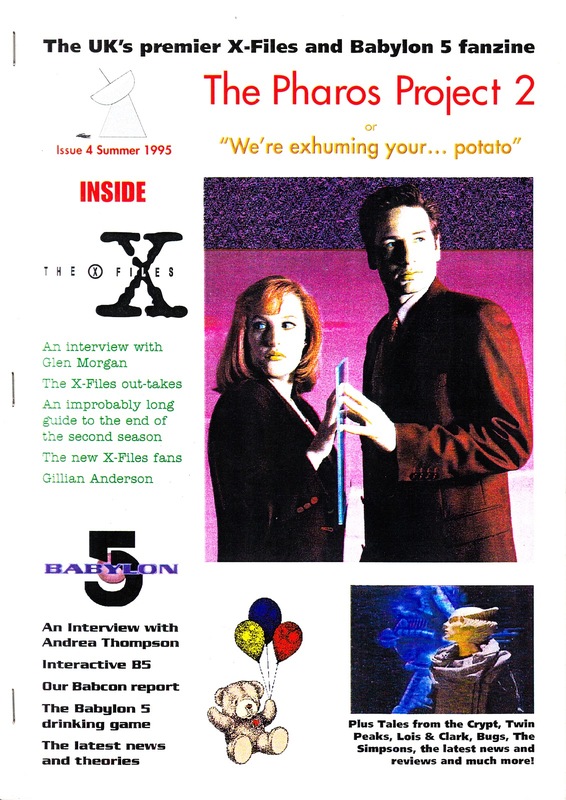 We did write a lot of articles for issue 6 and I still have all the pictures we had for the articles (if not the articles themselves since they were all on the same, now defunct back-up CD), so know we had VR5, Millennium, Star Trek, Friends and Chris Morris articles planned. However, life and work basically got in the way, so although we came ever so close to publishing it, we never quite got everything done and so never published it. Glad you enjoyed it, which is really all we ever wanted, and thanks again for the write-up!